Kalifornia Love: N.Y.C. 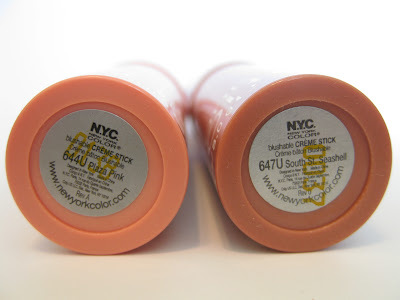 Blushable Crème Sticks in "Plaza Pink" & "South St. Seashell"
N.Y.C. Blushable Crème Sticks in "Plaza Pink" & "South St. Seashell"
After seeing oodles of reviews for the N.Y.C. Blushable Crème Sticks, I was really excited to try them out. 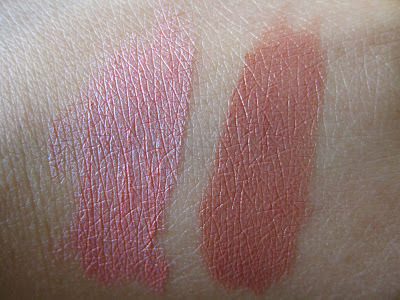 I was hoping for a dupe for the NARS The Multiple -read on to see how they did. The Packaging: The tube is like an oversized tube of lipstick with a clear cap. The bottom half of the tube is used to twist up the product. The Product: Twisted all the way up, there's a little over 1.25 inches of product. 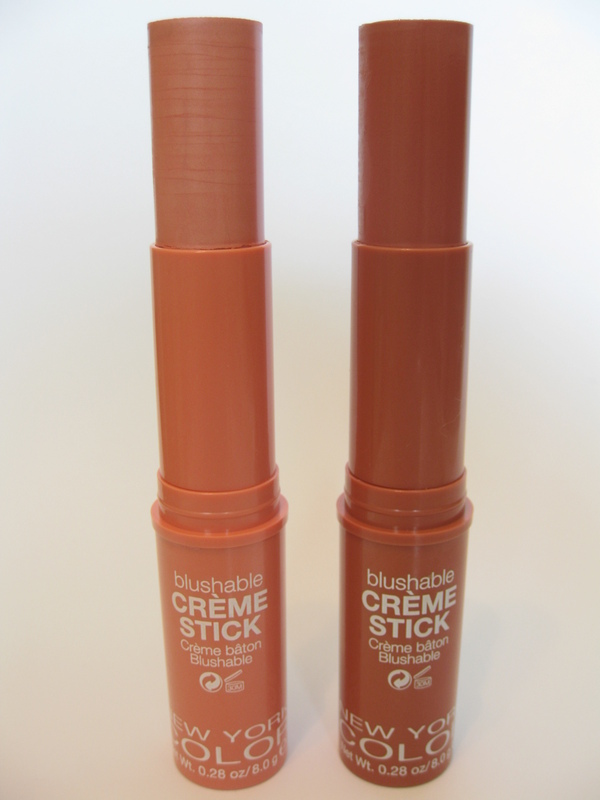 The texture of these crème sticks is soft, smooth, and creamy. 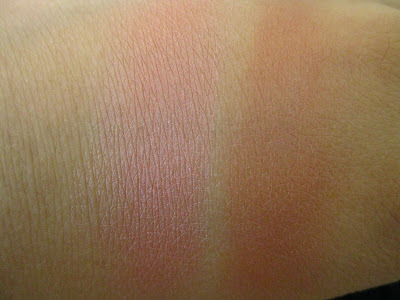 The blush feels very light on and has good color payoff. The downside is that these don't last very long -about 3 hours tops for me. After 3 hours, the color has faded and only a slight dewy glow is left. 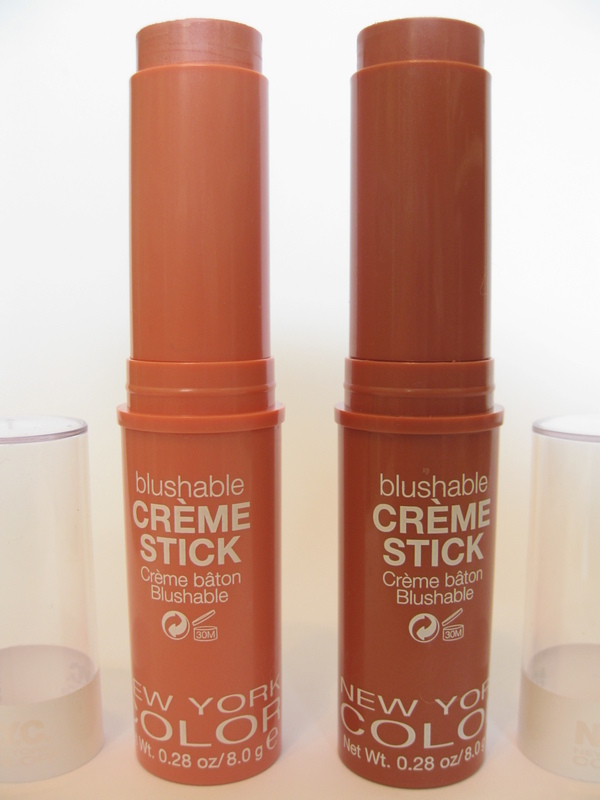 To apply this crème stick, I dab it along the apples of my cheeks and then use a brush to blend and buff it out. 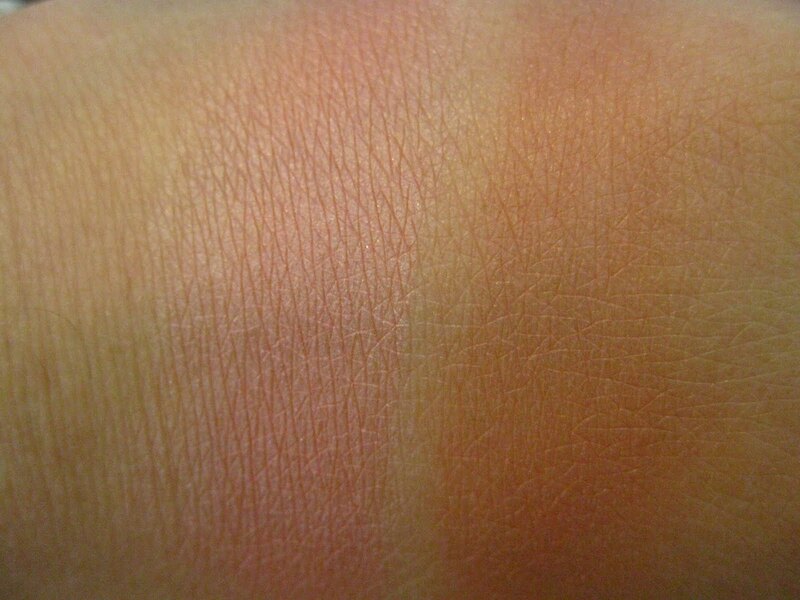 It looks nice and even and leaves a nice pop of dewy color. 2. 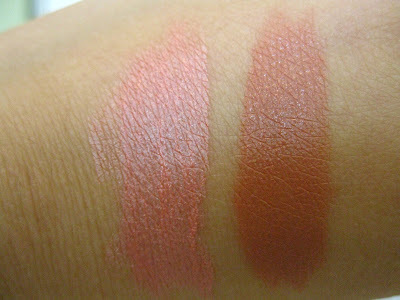 South St. Seashell (647U)- Warm medium peachy rose with minor shimmer. I really like Plaza Pink. 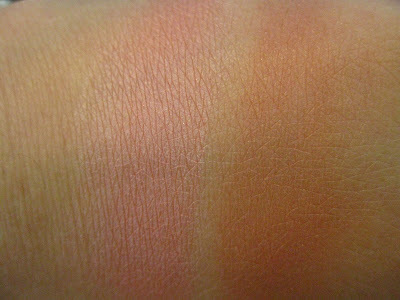 It adds just the right amount of rosiness to my cheeks and (the color) looks very natural. It can be a little too shimmery though. South St. Seashell is nice as well and really brings out my cheekbones. I like that this only contains minor shimmer and instead has more of a nice sheen. Overall: I'm sort of half and half on these. While I like the effect the crème sticks give, I really hate to reapply my blush during the day. While these are cheaper option, I think I rather save up on a longer lasting product. 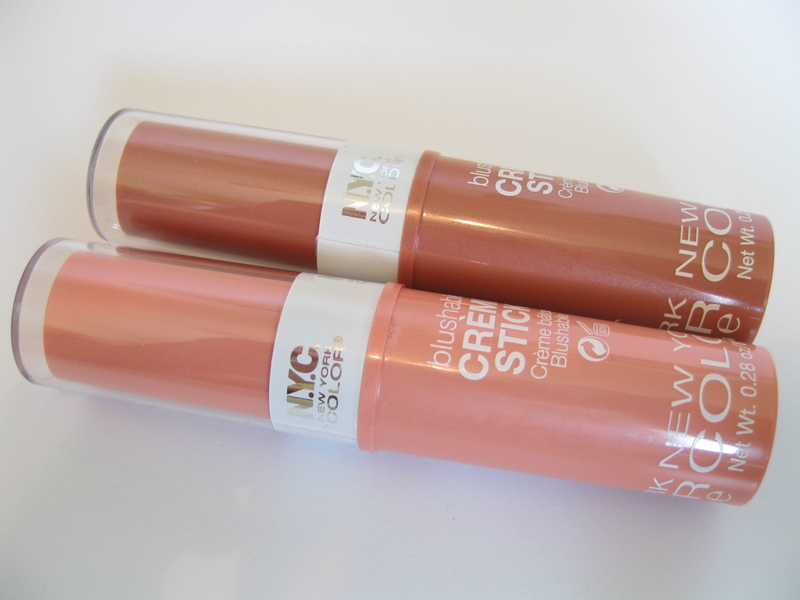 However, these are a great option if you're on a budget and looking for a nice variety of shades. The colors look nice but too bad they don't last long. Definitely a good option for those who are new to makeup. I have a few of these! 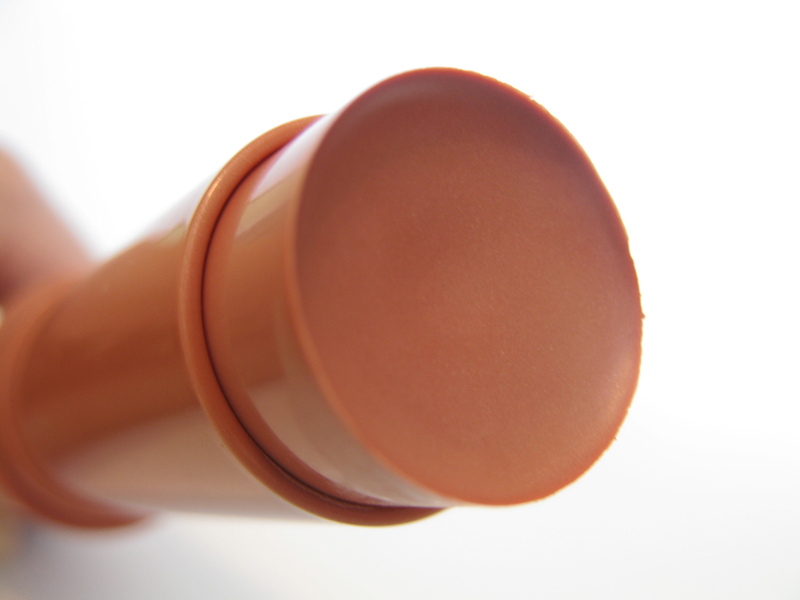 They tend to last longer as a base for powder blush. @ Kristie.. Yea I think they're definitely good for beginners or people on a budget or even just makeup obsessed people like you and me! @ Maria Elizabeth.. You're welcome. =) Yupp at this price, you can't complain! @ Val.. Ooh what shades do you have?? 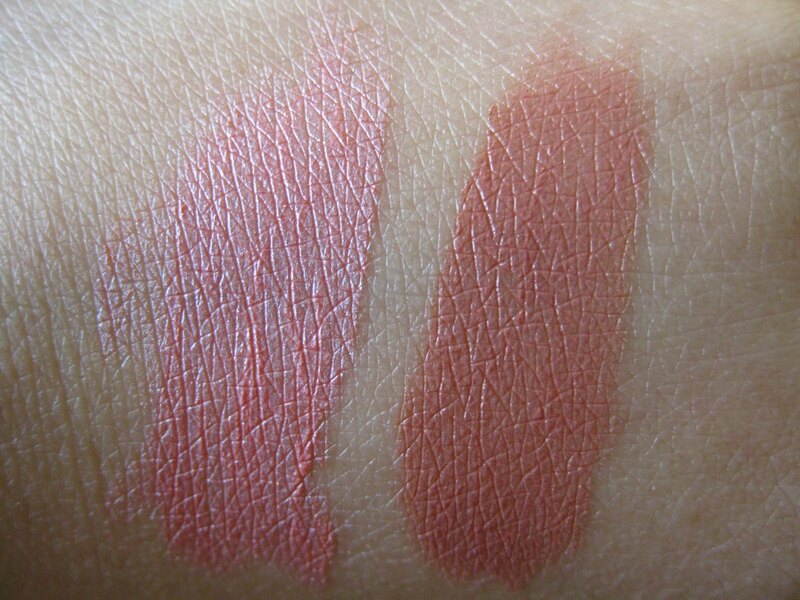 They're totally fine if you're willing to reapply your blush throughout the day. Oh I remember the Dream Mousse Blush. I used to really like it but had the same problem too AND it went on patchy. Ended up giving it to my cousin.